This post is re-published from my Blogger blog – originally posted Nov 2015 right after I started taking ballet lessons! KSD is a great learning environment for the girls. It’s the only non-competitive dance school in town. Everyone learns at their own pace, and no one is pushed beyond their limits. We have only had positive experiences with this dance school. For a few months now I’ve been thinking about punishing myself by trying out the Adult Ballet class. This ties in tightly with my idea that I need more music in my life. Also, I need more active time in my week. My hubby works late one night (at least) a week, and I’m home every night, for every dinner and every bedtime. This could also be my escape, once weekly, from bedtimes! The girls don’t let hubby put them to bed if I’m home – who knows what he’s missing out on (besides a LOT of reading) when he doesn’t put them to bed. Sometimes, but not often, tidbits about the day are shared at bedtime. I love it when that happens! But I would also love him to share in the routines. I’ve been to two classes now. The first one had only 5 ladies in it, including me. I was comfortable with the crowd, but not at all with the ballet. Everything is French. I guess I should have anticipated that, but somehow it didn’t figure into my decisions. I know a lot of French words, but somehow I can’t apply them to my feet or my body. Also everyone else is a dancer. You can just tell by the way they move, and how they seem to know all these French code words for everything. The workout was great – my legs were sore for about 36 hours, with some lingering stiffness as I tried to stretch out the pains the next few days. I was fully recovered before the second class. Second class had 8 people total. That was more daunting as they mostly all knew all the French code words as well. And when the teacher says things like “lunge” what he’s really saying is “do the splits!” There was a lot more barre work, and extra stretching, in the second class, but I really liked it. I must have been warmed up enough as I managed to actually get my leg onto the barre to actually do the stretches! I needed some technique critiques as the class went on, but I managed to pick up on a lot of it the second time around. In between classes I went online. 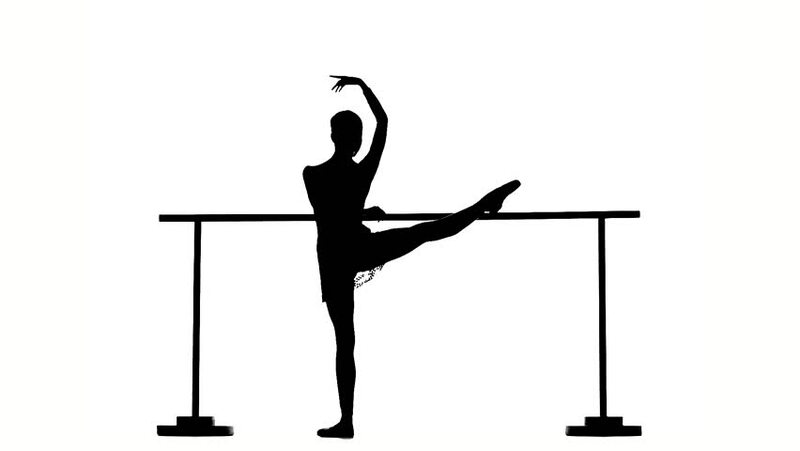 I read at least a dozen websites about “basic ballet.” Foot positions, arm positions, and French words and how they apply to your movements. I watched videos (and some I even tried to follow along to), read up on beginner sequences and what they’re called and basically just increased my ballet vocabulary. 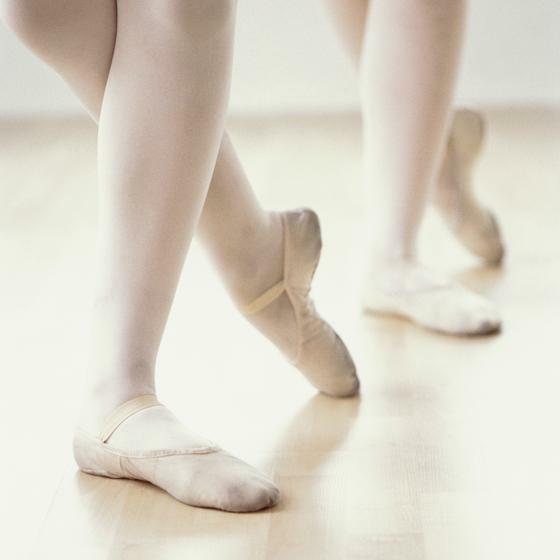 Turns out taking ballet lessons is a mind workout as well! Guess what – it worked! I felt like I remembered things from last week, and retained some idea of what the words were and how they related to foot and arm positions. I stumbled through the second class more easily, and I felt more confident that I wasn’t quite 1,000 years behind everyone else. The second class went more quickly and I felt like I got much more out of it when I wasn’t worrying quite so much about how the basic moves went. Check out my “6 months later” post about my awesome dance class here. I’m almost at a year now – it’s a amazing how time flies! Are you taking ballet lessons? Or have you done those “barre workouts” that seem to be popular now? What did you think? How was your coordination? And was it fun? Please share your experiences with me in the comments! Thanks Lisa! I find it very hard but also a lot of fun. I think I’m one of the only people who had no prior dance (or other similar sport, like figure skating) experience. It’s a lot to learn but once you manage to get some steps down you really feel like a million bucks! Thanks Elizabeth! I’m really enjoying my classes. It’s a lot of work, but really rewarding once I figure steps out. And the sore legs for a few days makes me feel like I got a workout! I’m sure my girls will move up to a dozen classes a week as well – they will soon be way beyond my skill level. Thanks for the comment. Hi Jess, well done you for stepping out of your comfort zone and doing something new. I have heard about Barre workouts (great for the legs apparently), but would never have the nerve to join in with a class. It is fantastic that the ballet classes you and your daughters attend are supportive, but not pushy. It’s nice to do something just for the pleasure without having to worry about how fast you are learning. My two were the same at bedtime and even though my husband was here, he rarely got to put them to bed. And when he did, what a circus! Which I’m sure didn’t happen by accident on anyone’s part. Lol about your husband’s bedtime struggles. It’s the opposite for me – the girls let him just read a few pages and tuck them in. These days it’s similar for me, but we went through a very long stretch where I was harassed to read many many stories every night. I’m really enjoying this dance. I have to miss next week since it’s halloween (Ok, I don’t HAVE to miss, but it’s Halloween!!) and I may miss the following week with my acting. But it’ll be there when I have time to get back to it! Thanks for your comment Deb. Good for you. And in French, too. I took dance classes when I was a kid and returned to it in my 20’s before I got married. I think I apprecciated it even more when I was older. Enjoy! Thanks Barbara! I’m quiet enjoying it. I enjoy the mental challenge of learning the moves/steps and the words! That sounds so amazing! I miss ballet so much, but I can’t find any classes in the area and realistically speaking, I wouldn’t know how to fit it in my schedule today. Thank so much for sharing your experience. I love sharing my experiences – it’s mainly why I blog! I think if you can find a class close to you you should make time for it. It’s so much fun! Well done on finding something for you. Very brave to come out of your comfort zone and give it a try. I definitely appreciate the art of it as an adult. It’s still really hard though! Thanks for stopping by to comment!